This topic contains 14 replies, has 5 voices, and was last updated by Alex 3 years, 8 months ago. I have found (So far after only a day of research) over 60 Pretender related fan sites from around the world. Amazingly, though most have fallen inactive since the time period they were founded (Most from just around the time the show had ended) they can still be found by search engine. them are Fan Fiction based. I even found 3 that were adult rated sites. One in every five were small sites created by amateur fans while the vast majority appear to have been done professionally by a group of them. 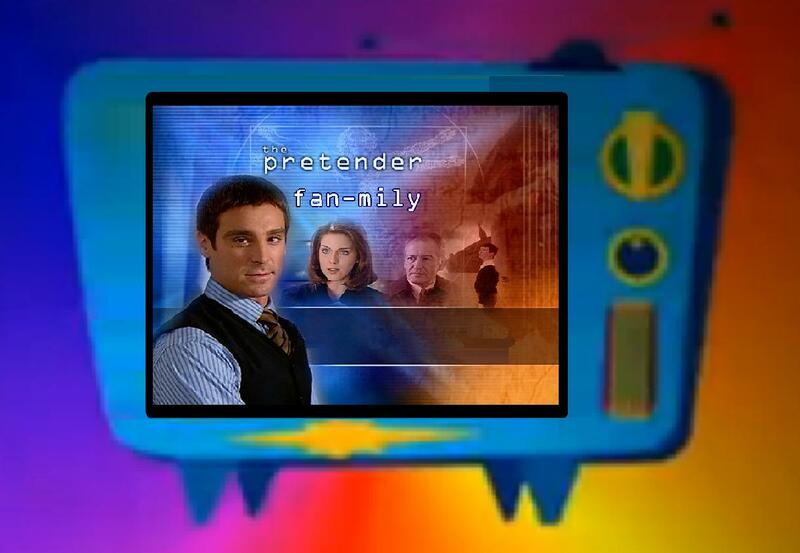 250 EPISODE PRETENDER FAN FIC ARCHIVE!! FRENCH: PRETENDER FAN SITE/FAN FIC/ANDREA PARKER TRIBUTE!!! It will be interesting to see how many can ultimately be found, categorized and contacted. This is a great idea as well. It would be great to connect all of the fan sites around the world. Lets go for it! Archive of Our Own’s Pretender works (this is related to but more inclusive than the “250 episode” link above.) AO3 is currently the second-biggest cross-fandom fan fiction site after FFN, and the biggest for adult material. Yuletide’s archive is now here. Another old archive, these seem to mostly (all?) be on Missing Pieces. There’s a lot to be mined on Ye Old Livejournal as well, although it’s often just individual stories here and there. Stuff like this. Archiving and Data Base search. Once search and cross reference completed, will create complete tP site listing. The people at Virtual Season 5 and 6 deserve an applause. I have those stories on a flashdrive. “Finding Jarod’s Missing ‘Fan’milies” project is approximately two-thirds completed. An offical site with portal access will be professionally built to accommodate Jarod’s fan-mily once completed. We should honour also the german Pretender fan fiction project “Licht und Schatten” by Jarod Parker and Engelchen. They wrote a 140 Part (5000 pages) long story with a very dark beginning. ‘FINDING JAROD’S MISSING FAN-MILIES’ PROJECT ALMOST COMPLETED! Still under construction, but will be increasingly accessible as each page is built…. NEW!! click on image above for instant ‘point and click’ menu access to all the non-annex tP fan sites. This is the next phase of improvement until the tP Fan-mily official website menu pages are built!! UPDATE: NOVEMBER: Work continues on the ‘Finding Jarod’s Missing Fan-mily Project.’ As of this date there are 192 tP sites located so far. During this project several sites were lost to attrition. Since the show went off the air, 117 sites representing 43% of all tP sites researched disappeared from the internet. Hopefully some will be recovered from archives. At this time the remaining sites will be contacted as well as archived to prevent further attrition. ‘Finding Jarods missing fan-mily’ website is currently undergoing maintenance through the month of January. The Pretender channel is still available at the site in the meantime though!! 022515:Maintenance is completed with point and click access now available! Under continuous update. Please help in the effort to find all lost tP fan sites!! 5 more pretender sites found out there in outer (cyber) space!